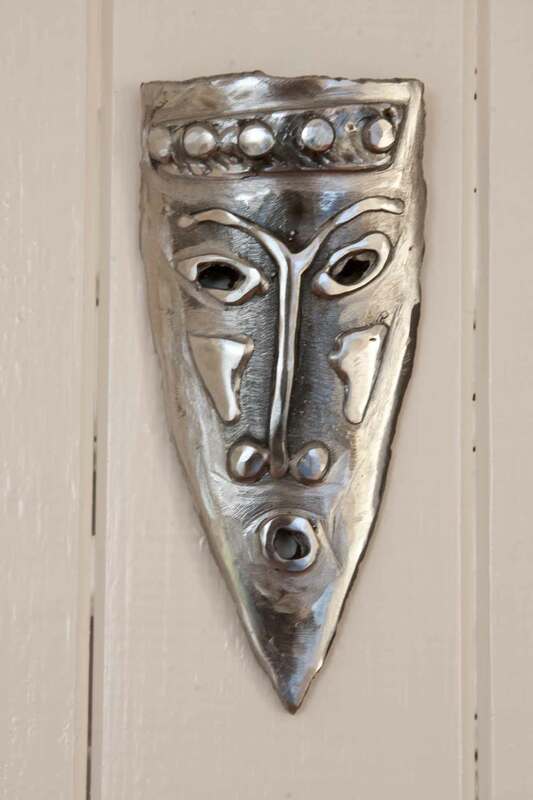 The Masks show influences from both African and Celtic culture. They are made in flame-cut steel. The finished pieces are either painted or polished. All are available to commission. Prices on request. © 2019 Ronan Halpin Sculpture.